Today, Tuesday 12th September, Apple is set to unveil three new iPhones. 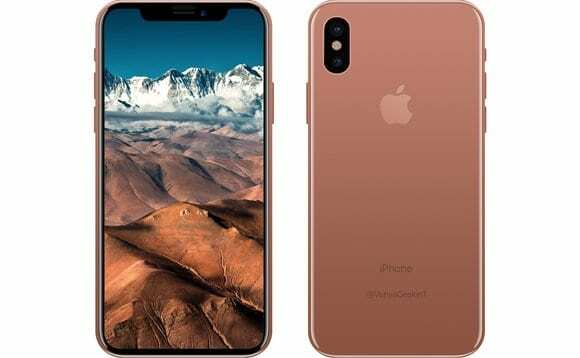 A newly-designed “iPhone X” , which analysts say could cost upwards of £1,000, as well as an iPhone 8 and 8 Plus, which are expected to look more like existing Apple iPhones with some new features. The iPhone X a new ultra-high-end iPhone with a brand new tall-and-narrow design, a huge OLED screen that covers almost the entire front of the phone, a face-recognizing infrared camera and a price north of £1,000. It is also expected to reveal a new Apple Watch that will work independently from the iPhone, and could give more details about the HomePod smart speaker when we saw glimpses of it in June. It might be the huge success of the recent Samsung phones, but it certainly feels like there has been less to get excited about in Apple’s recent iPhones than there once was. The most novel improvement to last year’s phone was the dual camera, which featured only on the iPhone 7 Plus. 3D Touch, as the innovation, if you can call it that, has been variations of Samsung technology, rather than the Apple innovation we all loved in the early days. New encryption with IOS software, making it almost unbreakable.